Susie Kilshaw is a social anthropologist at University College London where she pursues her research interests in new illnesses, health scares and anxieties, military health, and trans-cultural psychiatry. She previously worked for the NHS as a clinically applied medical anthropologist on issues surrounding ethnic minorities and mental health. Since 2004 she has been Assistant Editor of Anthropology and Medicine. 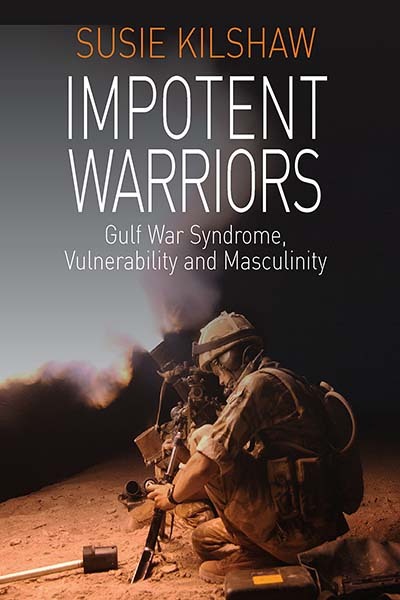 Impotent Warriors by Susie Kilshaw is available open access under a Creative Commons Attribution-NonCommercial-NoDerivatives 4.0 International License (CC BY-NC-ND 4.0) with support from Knowledge Unlatched. GWS: An Illness of Our Time?